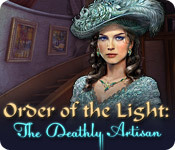 Order of the Light: The Deathly Artisan is rated 3.8 out of 5 by 16. Rated 5 out of 5 by Rainskk from Revenge and ghostly takeover.. Although the story line has been done, this is a really good game, challenging but not impossibly vague and difficult. Liked the hints being specific but the player has to figure out what the hints mean and where they are. Lots of puzzles. HO scenes are clear and well done, although objects can be difficult to find which is fun since the objects look like what they are. Really enjoyed this game. Rated 5 out of 5 by Scobeaux from Based on Completed Game - Very entertaining I thoroughly enjoyed this game, which I just completed on normal mode (which had too many sparkles. If I had to do it again I would choose the 3rd level. You can change the difficulty level during the game, which I now realize I should have done). The good: Lovely sound effects, especially all the bird noises! The music was kept to a bare minimum; it was suitable to the game but kind of repetitious when it appeared. The mini-games were fun, a bit unusual, not very hard. The HOS were slightly interactive junk-piles, but the items were sometimes very cleverly hidden, while not being too small. I don't usually love HOS, but these were well done. The story was entertaining. I loved the spooky paintings. It was a good length. Very helpful map. The less good: The story, while entertaining, was of a type that we have seen many times before - vengeful person using magic. It was pretty easy. The graphics could have been a bit sharper. I play on a very large monitor, though, so it might be better on a smaller monitor. All in all, though, I really enjoyed it. It was just that little bit unusual so that it stood out from the mass of similar games and made it fun to play. Rated 5 out of 5 by rosekaufmann from FUN GAME Lots of fun. Change difficulty level at any time. Good voice overs and narrator. Map with objectives. Hint is specific in what to do. HOS are uncrowded, list-based and objects are quite detailed and a nice color palette. Graphics are good and special effects are awesome (although there aren't a lot and they are similar). Can figure out what to do. Nonlinear game with lots and lots to do and several directions to take at your will. Catch the ghosts with your special ghost apparatus (it glows; you cannot see the ghosts without it). Puzzles are easy. Objects you find are used within a short distance of where you find them, so you don't wander around aimlessly wondering where you can use an object. Good production values with a very good story development (I like ghost stories, especially when you keep running across ghosts). Fun afternoon of play. Rated 5 out of 5 by Blackie110 from EXCELLENT! This was one surprising great game. It has it all. 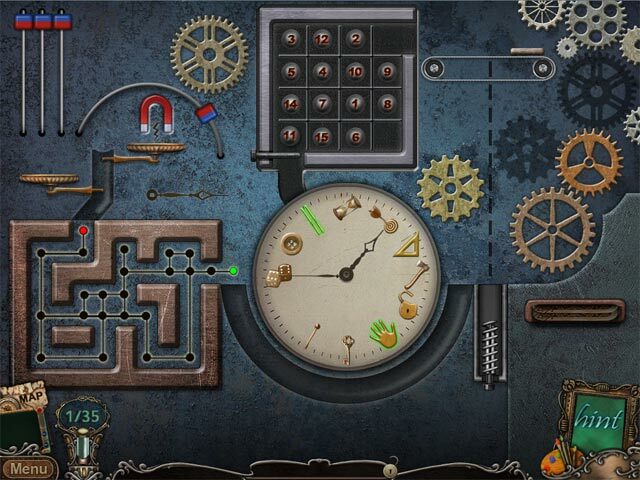 A lot of hidden objects for those who like them and of course a lot of puzzles to solve. The only drawback is that the hint button only tells you what to do it does not take you anywhere. But not too hard to follow. Rated 4 out of 5 by ninja226 from Nice game! This was an unexpected surprise of a nice game. The HO games are standard variety with at least 2 items that have interaction with another object in the scene to find or complete the object. Most mini games are not that hard, ahem, frustrating. The storyline is decent, with a little bit of a surprise at the end. 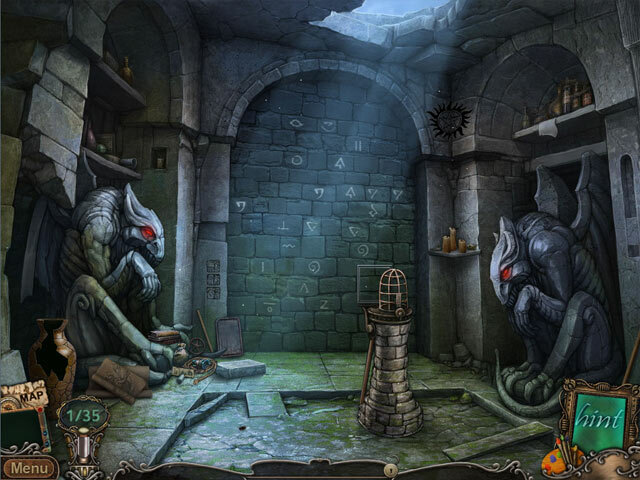 The one unique aspect of the game is the ghost catcher (bottom left), which is a magnifier to locate the floating ghosts. Each scene has one ghost. Spot 'em with your mag eye and zap them. But at the end, you have to go through all scenes encountered and look for them again. You didn't miss them, it's a ploy to make you wind your way through all scenes again. On the other hand, it acts like a collectible of sorts for an SE game. For the most part, it's a straightforward game with most actions easy to intuit, except for the last few chapters in which I had to use Hint because it was not clear what needed to be done. The pretty lady on the game cover unfortunately only makes a brief cameo, would have liked to see more of her. The characters are nicely drawn and well dressed, but the lip movement definitely do not sync well with the voiceover. No matter, you can turn off the sound and just read the dialogue. A nice HO game for those who enjoy sleuthing. Give it a try. Rated 4 out of 5 by fundit2 from what's up with the paintings? This is a not-too-hard game that is a nice time waster. Some of the puzzles are easy, none too hard. The HOGs have some items well hidden, but not impossible. NIce voiceover. Interesting premise with the paintings but somewhat abrupt ending. Rated 4 out of 5 by SparkleGlow100 from Relaxing & Lots of HOPS! Stylized, fantastic graphics, which were beautiful to look at - very story-bookish look, like in a classic children’s tale; clear but not hard-edged. Not a scary tale. Hint will direct you in words, which appear along the top of the screen. You’ll be told where to go and what to do there, and with what, but you won’t be taken there or shown. You can use the jump map though, which'll have exclamation marks for you where there are things to do. Inventory can be locked and you get an electronic journal. This game had a funny little device that detects and catches ghosts, a “kerchink” click, followed by a “dwoooop!” LOTS of places to go. LOTS of HOPS. Good puzzles. At some point though the game lost its momentum, perhaps 2/3rds of the way through. Hence a 4* and not 5*. Rated 4 out of 5 by PATinPNS from And I Waited so Long! This is posted after playing the demo. Oh Man! I waited so long for this to come out in SE, and now that it has, I can't play it in wide screen. Everything is so small, but that information is for the forums. It was beginning to get fun when the time ran out. That hour passed like a bullet. I was catching ghosts left and right and was on the track to settle the whole thing. I was having fun. There were several each of the hidden objects and mini games. So, had I been able to see them, I would still be playing.There is a hint button which re-charges quickly and a map I was just getting the hang of when time expired. The journal did help fill some gaps. The challenge was decent. I didn't skip any mini games which is an accomplishment for me, but they did offer some degree of thinking. The hidden objects were well done and concealed very well. The music was good and the voice overs were excellent! The sound effects were well done also. I didn't get far enough into the game to actually gauge the story, but it was shaping up to be pretty good. Were it not for the screen problem, I would have purchased this game. 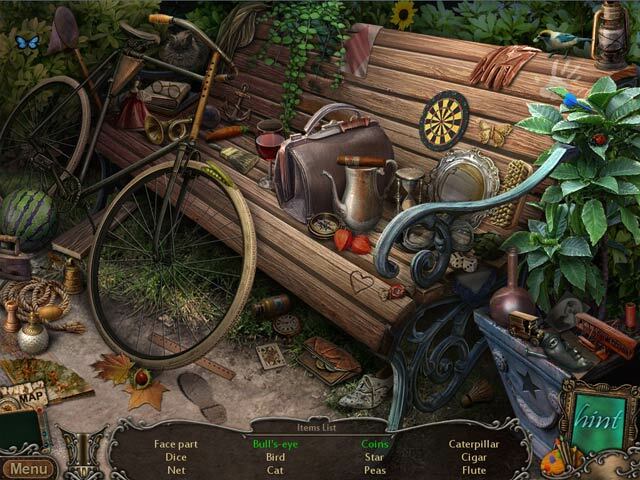 Be sure to try it out, because if you like hidden objects, mini games and a decent ghost story, you will like this. Rated 4 out of 5 by roaming from Nothing Fancy but a Fun HOPA I am quite liking this game. I like HOS, and these are challenging enough, unlike some games I've tried recently where the HOS were way too easy. The graphics, while not amazing, are very nice and clearly drawn, the music is unobtrusive, and there are both voice-overs and text. I skip all puzzles and mini-games so I can't comment on those. I think the puzzles and HOS are about equal in number. You have a choice of four levels of difficulty. There is an interactive map. The story involves a mysterious, dark force that was released during the renovations of an old chapel. As a result, anomalous events are occurring throughout the village. You are a kind of paranormal investigator who must discover the source of the anomalies and return things to normal. To aid in your investigation, you have a device that traps the ghosts that try to impede your progress. There are no "blow your hair back" bells and whistles to this game, and that will dissuade some players, but give it a chance. It's a game credit buy for me.